This conversational guide is literally a blueprint to building the exact system directly responsible for over $30 million dollars in online sales last year alone. Network Marketing, also known as MLM or Multi-Level Marketing, is full of legends who have discovered how to leverage these same techniques to amass 6 and 7-figure incomes. Network marketing online is no different with new stars like Ray Higdon, Rob Fore, Dave Wood, Matt Lloyd, Jonathan Budd, Mike Dillard, Daegan Smith and more all scaling these same principles into $100k-$500k per month businesses. Now you can ethically steal the same strategies to implement them into your business for exponential growth in just 5 simple steps. Focusing on Customer Value Optimization or CVO above everything else in order to maximize your digital marketing funnels. There are five main parts to CVO centric, wildly successful marketing funnels. 1. The Lead Magnet: Lead magnets are the 1st step in the Customer Value Optimization (CVO) process. It’s your visitor’s chance to “raise their hand” and identify themselves as prospective buyers. It is an irresistible bribe that gives a specific chunk of value to a prospect in exchange for their contact information. Even though lead magnets are free, psychologically, they count as the first transaction in the mind of the prospect. And, it is often the first transaction you will have with a prospect. 2. The Tripwire offer: These are the irresistible super low-ticket items that exude so much value that the prospect would feel STUPID for passing it up. It converts prospects into BUYERS. 3. The Core Offer: Our main mission up to the core offer is to be able to pay the absolute most money possible to acquire a buyer. The more people you can convert into buyers at that initial stage with an incredible offer at an unbelievable price (tripwire), the more will take you up on the core offer which is where you make all of your margins. 4. The Profit Maximizer: The second of Jay Abraham’s business growth methods is to increase the average transaction value per customer. The Profit Maximizer does just that. Most businesses don’t have Tripwire Offers and they don’t have Profit Maximizers. They live and die selling cold prospects on their Core Offer. 5. The Return Path: The goal of the Return Path is to have frequent, strategic communication with your buyers and prospects that cause them to buy again and again. Because you have received their contact information through the Lead Magnet you have the ability to continue marketing. Next Next post: How to Build Your Network Marketing Business in 15 Minutes a Day: Fast! Efficient! Awesome! 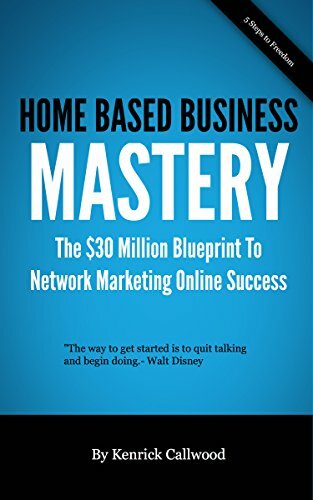 How To Make Money in Network Marketing By Knowing The Plan And Building Up Your Own Networking Company: Show Me The Plan and become Successful in the Network Marketing world.